7 Nights at 5* Hotel Sirene Belek Golf, Belek, A/I. 4 rounds of golf at: PGA Sultan x 2 & Pasha x 2. Antalya airport and golf return transfers. 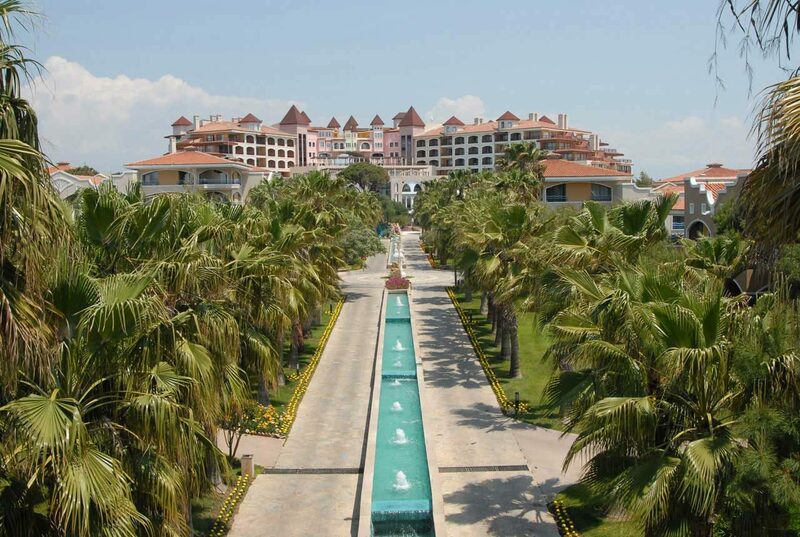 7 Nights at 5* Hotel Sirene Belek Golf, Belek, A/I. 4 rounds of golf at: PGA Sultan x 2 & Pasha x 2. Antalya airport and golf return transfers. Based on 2 persons sharing a twin room. 1 Free in 8 Offer. The city of Antalya is situated on a cliff overlooking the Mediterranean coast of southwestern Turkey, surrounded by mountains. It is the capital city of the Turkish Province of Antalya. The climate of this Turkish region is typically Mediterranean, with hot and dry summers and mild winters. Sunshine is guaranteed from April to October and the winters are pleasantly mild which make this area an ideal destination for a holiday or break. Developments in tourism have transformed the Turkish city into an international holiday resort with its own airport. It is a scenic resort of palm-fringed boulevards, with a Roman harbour, blue and turquoise tiled mosques and narrow streets that lead to the old quarter, called Kaleici. Here you will find an array of restaurants, bars and clubs. To the west of the resort is Konyaalti beach and to the east Lara beach. 30km east of Antalya on the Mediterranean coast in an area known as the Turkish Riviera, Belek has been developed purely for tourism and holiday makers since the early 1990s and has quickly established itself as a golf holiday destination of international repute. At the heart of Belek's success is the quality of its holiday resorts, hotels and golf courses, but the underlying importance of comprehensive customer service plays an invaluable role in making this a perfect resort for golf holidays in Turkey. 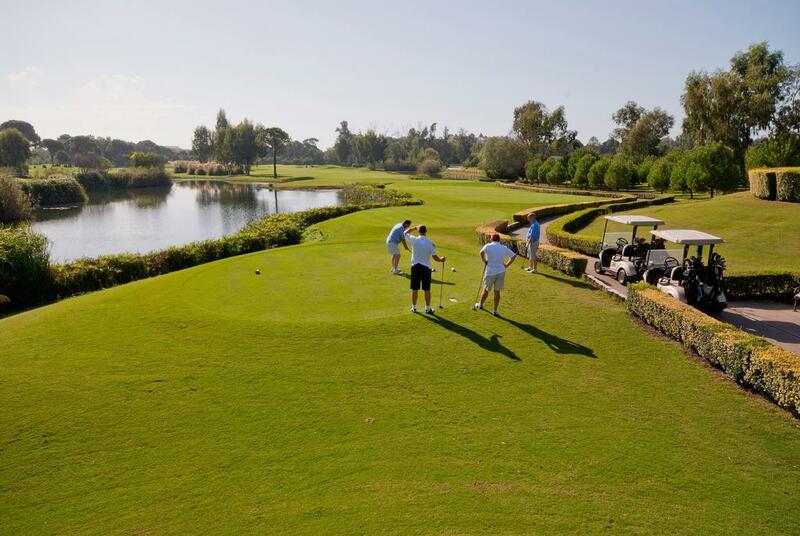 Belek offers several golf courses, all of which satisfy the wishes and expectations of all levels of golfers. The architects have incorporated the beautiful backdrop of eucalyptus and pine trees, the snow capped Taurus Mountains and abundance of natural lakes, whilst providing golfers with a challenging, yet enjoyable golf experience. With over 300 days of sunshine a year, golfers are able to play golf throughout the year. Golf holidays in Turkey have gained international credibility with courses designed by famous names like Feherty, Faldo and in particular eight times European No 1 Colin Montgomerie, whose Montgomerie Maxx Royal has been selected as a European Tour host course. Shifting his focus towards course design, the former Ryder Cup hero is set to make as much of a mark as an architect as he has as a player if his efforts in Belek, Turkey are anything to go by. Attracting rave reviews, the 18 hole golf course he has laid out in conjunction with European Golf Design is certainly exciting to play, both visually and as a test of golf. The golf course has been carefully shaped to blend naturally with both its indigenous trees and age-old sandy ridges, features which contribute greatly to the variety of strategic options presented from every tee. Many of the original sand waste areas have been changed for ease of play and aesthetic reasons. The clubhouse is one of the most impressive in Belek with amazing views of the golf course from its 30 metre tower and terrace that looks over the 18th green. Linking Europe and the Middle East, suspended between the new and the long-established, Turkey retains a disconcerted balance of both east and west, representing a cultural mix with many discrepancies and contradictions. Modern city boutiques and exotic bazaars clamour for customers, the weekly tolling of church bells interrupts the daily call of the muezzin, and Roman ruins and the beginnings of Christianity compete for attention with the history of the Ottoman Empire and modern secularity. Most visitors concentrate on Western Turkey, with its picturesque seaside resorts along the Aegean and Mediterranean coasts, scenic and recreational attractions, well-preserved archaeological sites and fascinating museums that bring its rich history to life. Wherever one ventures in Turkey there is certain to be a warm welcome and traditional hospitality, making this a deeply satisfying corner of the world in which to travel. Antalya is the main city on Turkey's Mediterranean coast, Antalya has attracted visitors for centuries. Today's visitors take a simple 20 minutes transfer from the airport. It is a scenic resort of palm-fringed boulevards, with a Roman harbour, blue and turquoise tiled mosques and narrow streets that lead to the old quarter, called Kaleici. Here, you will find an array of restaurants, bars and clubs. Two beaches are set to either side of the resort; Konyaalti Beach to the west is a stretch of shingle and pebble beach with an array of restaurants and bars set alongside it. Lara beach to the east has harsher sand and pebbles running into the sea. Belek on the Mediterranean coast in an area known as the Turkish Riviera, Belek has been developed purely for tourism since the early 1990s and the sprawling resort encompasses the 2 villages of Belek and Kadriye. Belek is a favoured destination for Turkey's jet set It's ideally placed, being close to the airport and the city of Antalya, the region's capital. There are cultural sites throughout the area, including Antalya and nearby Side, which are both rich in ancient history. Belek is surrounded by fragrant pine forests and eucalyptus groves. It's a tranquil resort, with abundant wildlife and bright splashes of flowers, and the craggy Taurus mountains forming the backdrop to the rolling hills all around. Many hotels claim private beaches, so access to the public beach can be elusive even with 10 miles of pale sand and shingle beach to chose from. Belek attracts its fair share of sun worshippers, and there are all sorts of watersports to suit everyone. Your daytime could also be taken up with golf, cycling and horse riding. Nighttime is filled with either cabaret or shows at the large self-contained complexes or alternatively it's bars in Kadriye. In recent years, as golf courses with international standards have opened up, Turkey has become an elite golfing centre where players from around the world can meet in an environment of quality and prestige. Especially the area of Belek, 30km east of Antalya, is a potential for golf tourism with the unique bonus of the cultural, historical and natural sightseeing of the region. In Turkey, most courses are in the vicinity of tourist resorts, around the coastal regions you will have all the necessary facilities of top class accommodation,restaurants and entertainment. We pride ourselves in creating the ultimate golf packages in Turkey and have spent many long hours putting together the special offers you will find in this section. We combine cheap golf in Turkey with top-quality accommodation at an affordable price and can provide transfers for groups of any size. If you would like to visit Turkey on a golfing holiday, please select the area of Turkey you would like to golf in from the menu on the left. Once you have selected your region of Turkey, you will find links to our sections such as 'Special Offers, 'Create Your Holiday' etc. If you have a large group or would like to discuss with us on how to best accommodate your needs, then please do not hesitate to contact us, we are more than happy to discuss your golfing needs in Turkey.